Are you planning a wedding with a black and white color theme? 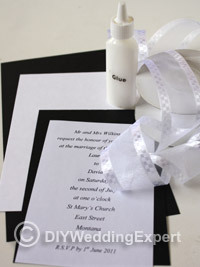 If you are you might like this black and white DIY wedding invitation. 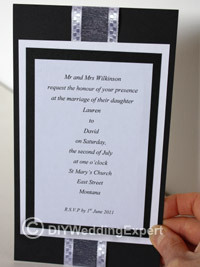 The ribbon on this invitation adds a really special element especially if you choose a wide decorative ribbon. A selection of black and white paper and card. 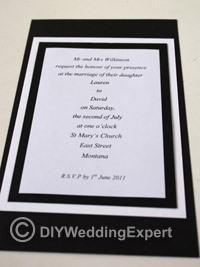 Print outs of your wedding invitation wording, cut to size. Decorative ribbon in white, black or both. Cut out all the mounting papers and cards with an equal border. 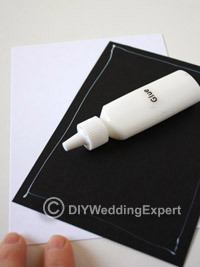 Glue your wedding wording on to the black mounting paper. Then glue that to the white card. 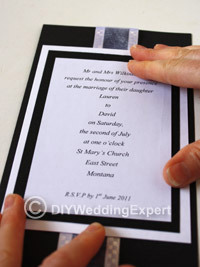 Add your ribbon along the centre of your stiff black card. 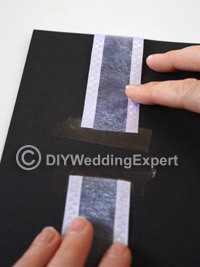 You don’t need to make the joins of ribbon meet on the front, as they will be covered over by the invitation. 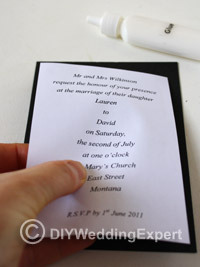 Glue the mounted invitation to the ribbon-backing card, making sure that the ribbon sits in the centre.